The CVA is the national voice of the Canadian wine industry, an organization dedicated to bringing together our membership to advocate on public policy initiatives by working cooperatively with governments and other stakeholders to find solutions on a broad range of government policies, regulations and programs, that benefit both society and the entire Canadian wine industry. The CVA provides focused national leadership and strategic coherence to enable domestic and international success for the Canadian wine industry, as an inclusive, knowledgeable and responsive organization. 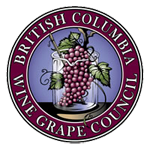 CVA members represent about 90% of Canada's total wine production and exports.